Under Construction. Under Construction Picture not actual home- Butler Gorgeous from floor to ceiling the Butler is 2802 square feet with five bedrooms three full and one-half bathrooms and a two-car garage. There's plenty of room for social gatherings downstairs in the great room dining room and on the spacious covered lanai. With all bedrooms located upstairs the loft provides a private and cozy space for movies and games. Chef's dream kitchen with its sprawling island and walk-in pantry. The spacious second-floor master suite exudes luxury and comfort. 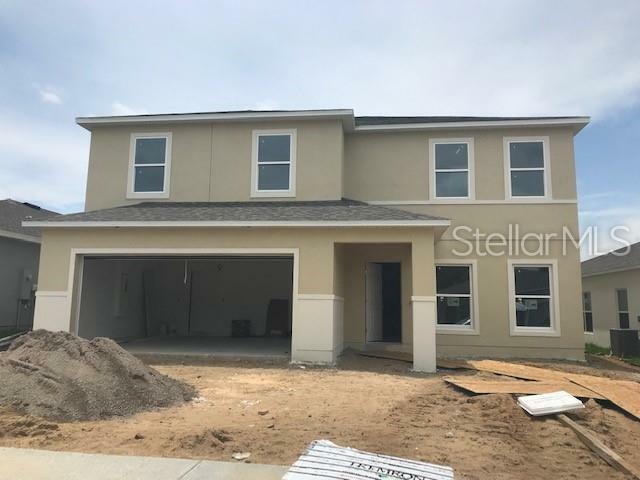 Granite counter tops in the kitchen extended tile covered lanai extended whit 2nd master bedroom option paver driveway 42" cabinets vented microwave community pool and playground.